Reptile Tools FUBAR Grapple Hook With Paracord | BUDK.com - Knives & Swords At The Lowest Prices! Drop this compact grapple hook tool kit in your backpack or bug-out gear and you will find endless uses for it! 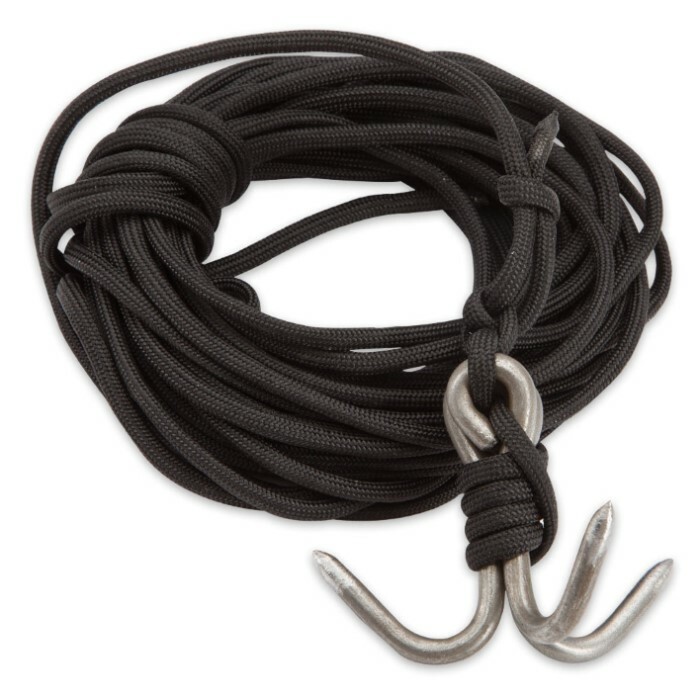 Form the heavyweight grapple by tying the sturdy 550 paracord around the three metal hooks. It’s excellent for retrieving lost items on the water or from a boat, for pulling down tree limbs for gathering fruit and nuts and as a skinning gambrel. 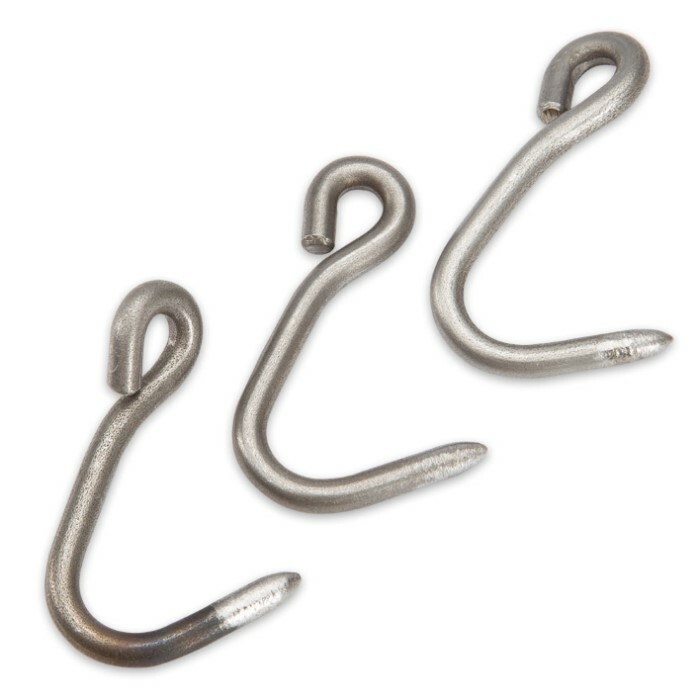 The hooks are handy just to have around the camp to use for various things like cooking pot hooks. This item is not designed to be used for climbing due to its design and the limitations of the hooks and paracord.